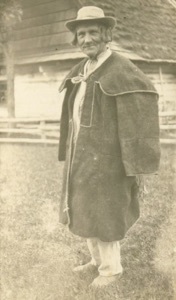 The Lemko people are a distinct Ukrainian ethnographic group that once inhabited Transcarpathian highlands, most of which are now territorially a part of Poland and Slovakia. 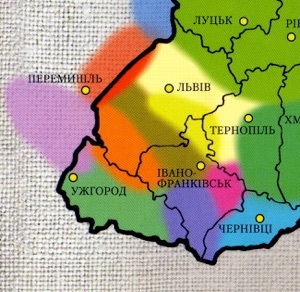 Some Lemky remain in northern Zakarpattya (Transcarpathia), and there are others scattered throughout the territory of Ukraine. 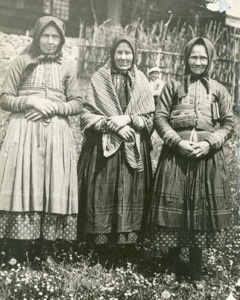 The Lemko population is also still largely intact in Slovakia, in modern-day Presov (Priashiv / Пряшів) province. During the Pre-WWI era, this was a very poor part of the Austro-Hungarian Empire, and there was a lot of immigration to North America. Famous persons of Rusyn descent include Andy Warhol (formerly Warhola). In Poland, it is another story altogether. During the inter-war period, there was forced Polonization, with attempts made to wipe out any Ukrainian identity altogether. After WWII, the border was drawn so as to leave most of Lemkivshchyna outside of Ukraine, and giving the rest of western Ukraine to the Russians/USSR. There was much resistance to Polish rule and Soviet Russian rule in this border area. Mass deportations were ordered to solve these problems. Simply put, ethnic Ukrainians were uprooted from their ancestral lands, and forced to move either to the Ukrainian SSR, or to distant areas of Poland. It was ethnic cleansing. Soviet Ukraine. Bilateral agreements were signed between Poland and the USSR on 9 September 1944 and 16 August 1945. 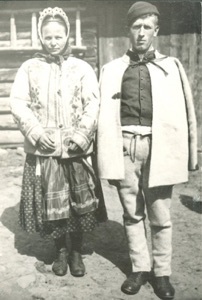 As a result of these treaties, some 400,000 Lemkos and Ukrainians were deported to the Ukraine, and some 300,000 managed to stay in their native regions, within the borders of Poland. 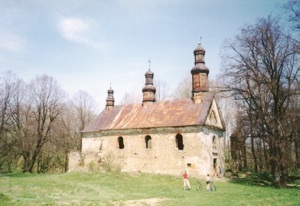 They lived in such Rusyn former territories as Lemkowszczyzna, Chełmskie and Podlasie. Next, Operation Wisła (Vistula) was organized in 1947 by the Soviets and Poles. 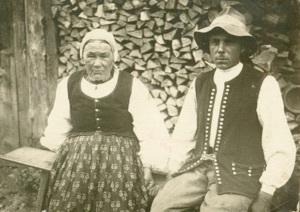 The Rusyn and Ukrainian population that still existed in southeastern Poland were forcibly resettled to the "Recovered Territories" in the north and west of the country. 130,000 - 140,000 persons were moved from such districts as Rzeszowskie, Lubelskie and Małopolskie. Nobody during Operation Vistula was sent to Ukraine. 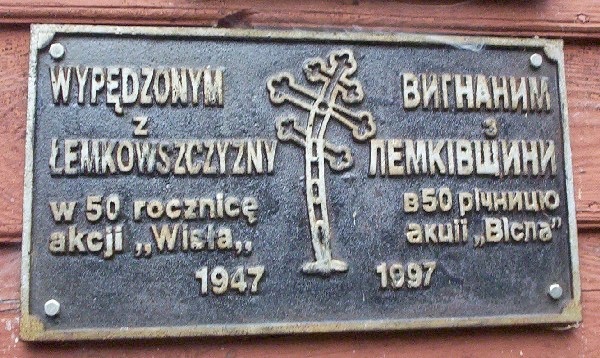 A third deportation of Ukrainians and Poles occurred in 1951. It occurred when Poland and the Soviet Union adjusted the border in the upper San River area and in the Belz area. Poland was given land east of the San River south of Przemyśl and Soviet Ukraine was given land that was west of and including Bełz that was in Poland. Populations were exchanged. A vibrant community that had existed for hundreds of years was destroyed, its members scattered throughout Ukraine, Poland, and the West. on the 50th anniversary of 'Operation Wisła,' 1947-1997." Back to MAIN Lemko page.